The Mizo National Front, which has been out of power for 10 years, is set to form the government in Mizoram. They have secured an absolute majority by winning 26 seats, thereby ousting the Congress from its last fort in the northeast region. The Mizo National front is a regional political party in Mizoram, India. It emerged from the national famine front which was formed to protest against the inaction of the Indian Central Government towards the famine situation in the Mizo areas of the Assam state in 1959. They have only won elections and former state government in Mizoram twice before, first under Laldenga in 1986–88 and then under Zoramthanga in 1998–2008. In 2008, it suffered a strong incumbency wave and won only 3 seats in the elections. 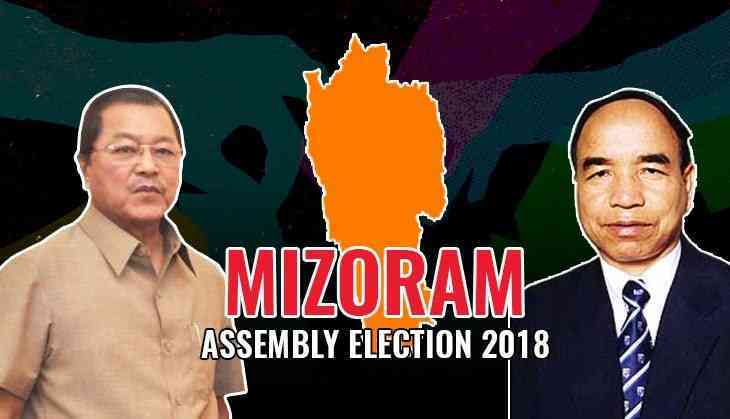 Now with the outcome of the Mizoram Assembly elections out, the results show a clear winner in the Mizo National Front (MNF) that has been out of power for the last ten years. According to the Election Commission of India trends, the MNF seems set to win 25 seats in the house of 40 with a 37.6 per cent vote share. In 1959, when the Mizo hills were part of Assam, the region was hit by a devastating famine that subsequently resulted in a boom in rodent population. Plague and starvation resulted in the death of many and everyday life was completely disrupted. During this period of havoc, a cultural organisation rose to the occasion, protesting against government inaction in solving the plight of the people and aggressively went about demanding relief. The Mizo Cultural Society was formed in 1955, but by 1960 it had been renamed as Mizo National Famine Front (MNFF) on account of their role during the famine in the hills. In Mizoram, the BJP’s lack of popularity is largely built upon its image of an anti-minority, pro-Hindutva party. The MNF’s association with an alliance built by the BJP could have played out against the former. However, as results show the first political party of Mizoram managed to garner popular support despite all odds and emerge a clear winner. Shilpa Shinde joined Congress Today!